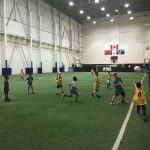 An indoor sporting complex with premium gyms, courts with non-slip playing surfaces and wall padding, and artificial turf field with soaring ceilings, ideal for kids’ birthday parties and events, camps, sports clinics, and team events. Spaces can accommodate basketball, soccer, football, volleyball, Ultimate Frisbee, dodgeball, and other sports. Free parking and on the TTC bus line. Ultra Sports has some of the best sports birthday parties in Toronto. The huge sports centre has large, soft, clean fields and safety padded courts that allow the kids to run and have fun. 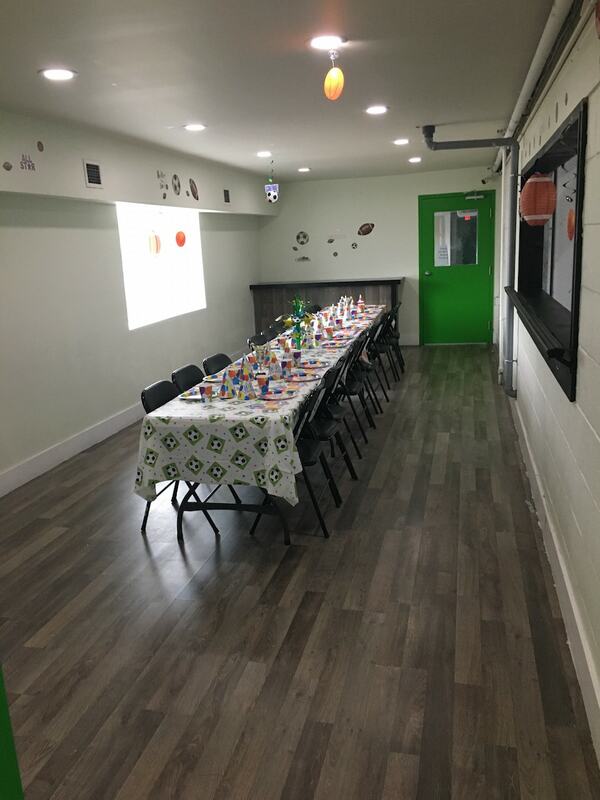 The private party room overlooks the field and court, giving parents and kids a bird’s eye view of the action happening below. 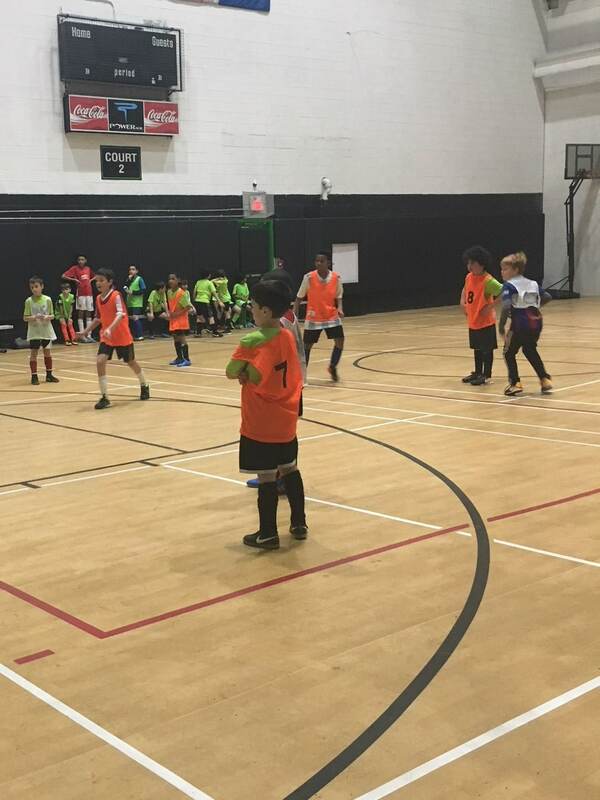 Basketball, soccer, football, volleyball, ultimate Frisbee, and dodgeball equipment is provided, at no additional cost. Kids can enjoy premium food from Boston Pizza, included in each birthday party package. 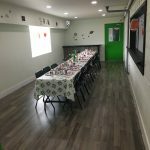 Party packages are customizable and can include add-ons like balloons and BYO food, dedicated coach, dedicated party coordinator, bouncy castle, and bubble soccer. 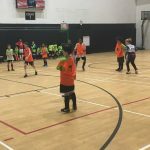 The Kids’ Multi-Sport Summer Camps at Ultra Sports combine court and field sports like soccer, basketball, volleyball, flag football and others in one camp. 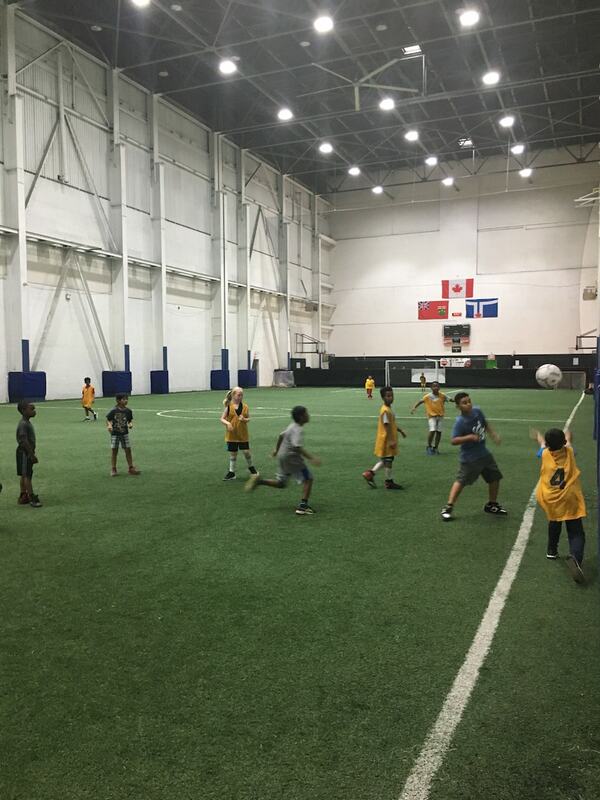 With huge indoor turf fields and padded courts, kids get guaranteed play time, regardless of the weather outside!